Our tour starts with a wonderful drive along the Athens Rivera. During this relaxing ride you’ll enjoy splendid views of the Saronic Gulf while passing through some of Athens’ most beautiful suburbs, including Hellinikon Olympic complex, Glyfada, Vouliagmeni, and Varkiza. 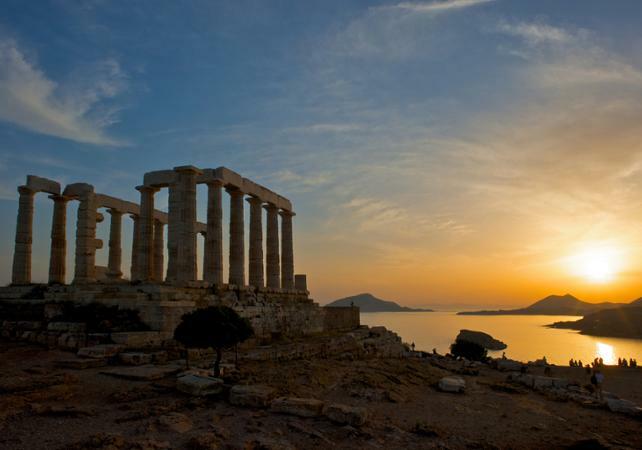 Arriving at the Cape Sounion, you will visit the 5th century B.C. Temple of Poseidon with its magnificent panoramic view of the Aegean Sea (on a clear day you can see at least seven islands). Cape Sounion has long played an important part in Greek mythology and history, and the first recorded mention of it occurs in the Odyssey, as the last safe landing before Poseidon scattered the returning Greek navy. 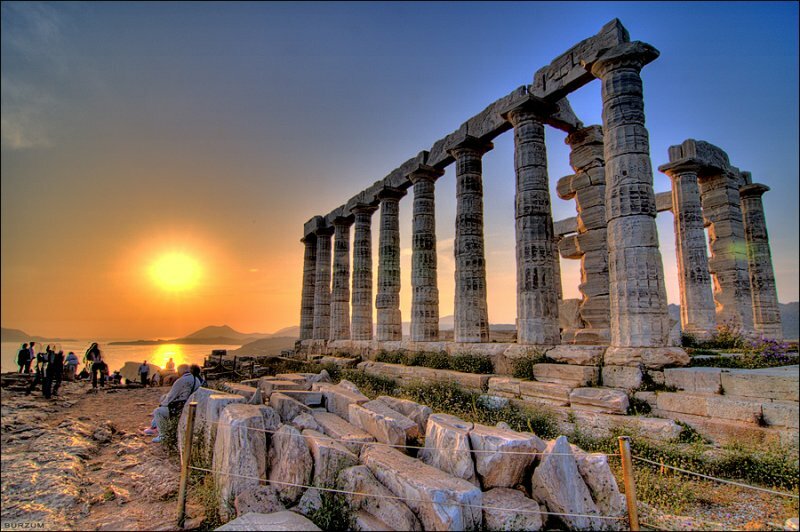 As god of the sea, Poseidon was very important for ancient Greeks, and the scale of the Temple at Cape Sounion reflects that. After visiting the Temple, filled from the beauty, the history and the culture of this site we will wait to admire one of the most amazing sunsets you could ever imagine. 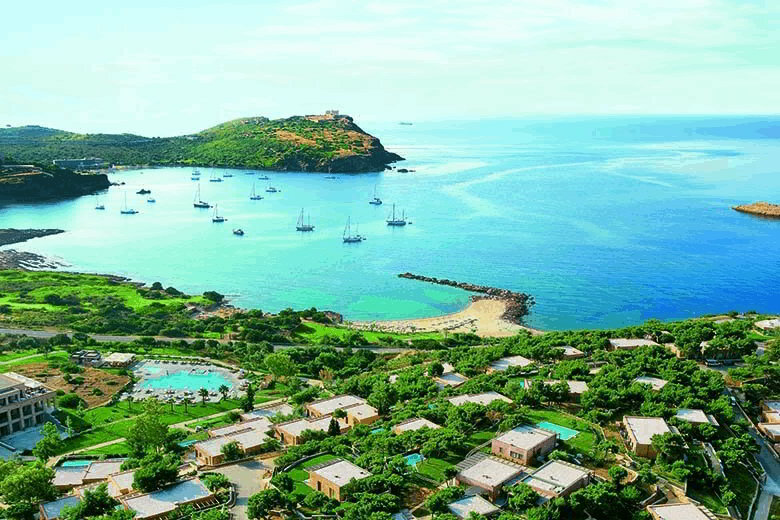 And when the sun begins to slowly touch the sea it is the perfect moment for a sparkling glass of wine, before returning back to your hotel. The departure time of the tour depends from seasonality and the sunset time. Departure times as follow: May: 18.30, June – July till 20 August: 18.30, 21 August till 15 September: 17:30, 16 September till 30 September: 17:00.